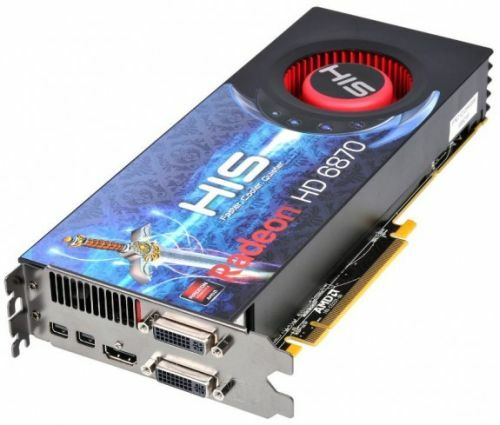 One year after the release of the Radeon HD 5870, their first generation of DX11 graphics cards, AMD launches today the second generation: the Radeon HD 6870. 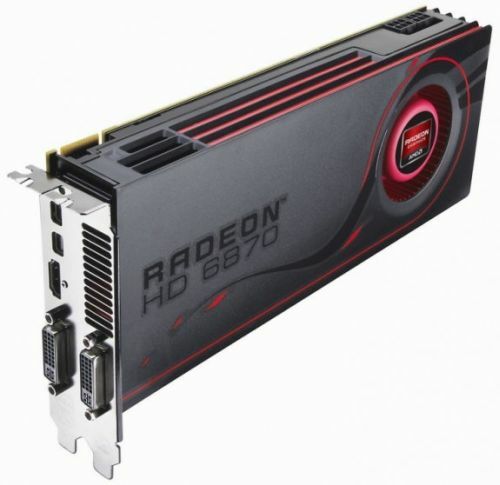 BUT guys, this HD 6870 is just an overview of the brand new Radeon HD 6000. 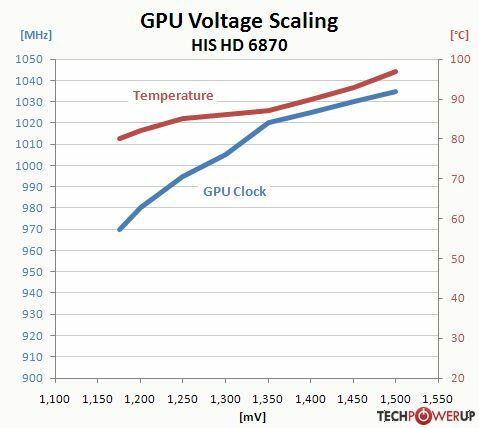 Serious things will really start with the Radeon HD 6900 series in November… Then, while Radeon HD 5870 was AMD’s flagship HD 5000, Radeon HD 6870 can be seen as the refresh of the Radeon HD 5850 AND the real target of the HD 6870 is NVIDIA GeForce GTX 460. 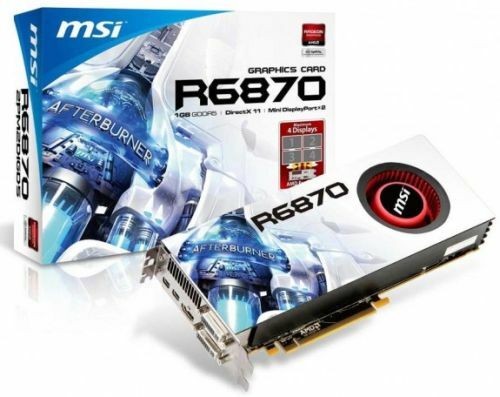 The Radeon HD 6870 is priced at USD $239. Barts XT is made up of 14 SIMD engines. Each SIMD engine has then 1120/14 = 80 scalar processors. 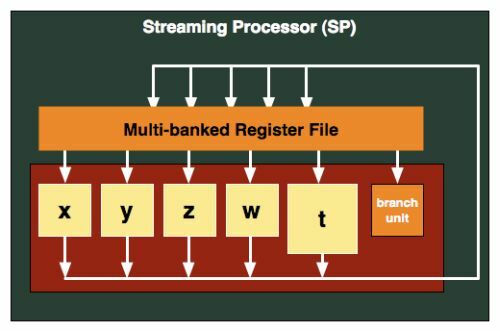 In OpenCL terms, The Radeon HD 6870 has 14 compute units and 80 processing elements per compute unit. 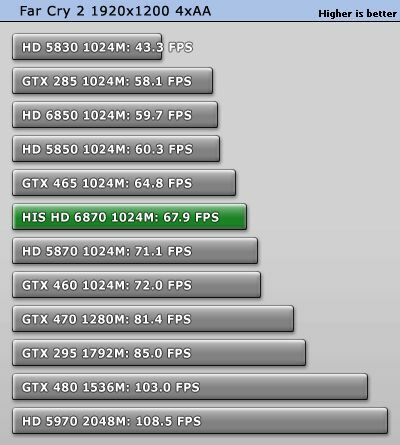 Furmark shows the AMD Radeon HD 6870 and the Radeon HD 5850 having identical performance in this OpenGL benchmark. 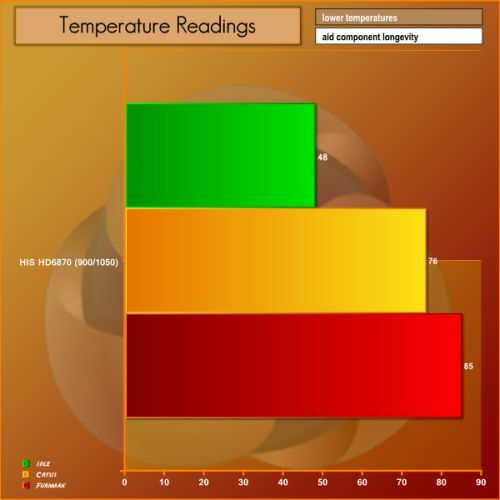 Under FurMark and depending on the card or website that did the test, the Radeon HD 6870 reaches a GPU temperature ranging 81°C to 85°C (Crysis: 72°C to 76°C). This is also confirmed by Legit Reviewsand [H]ard|OCP. 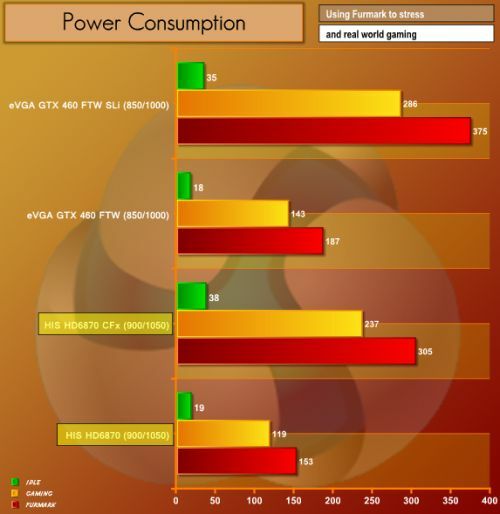 Guru3D: The Radeon HD 6870 is as far as I am concerned, definitely the more interesting card. It does have a handful more shader processors over what we expected initially, and armed with a phat 900 MHz clock frequency this product simply makes really good sense. It will bring a lot of value to the table but will also allow you to play your games at 1920×1200 extremely well. From a price point of view that makes this product really nice. 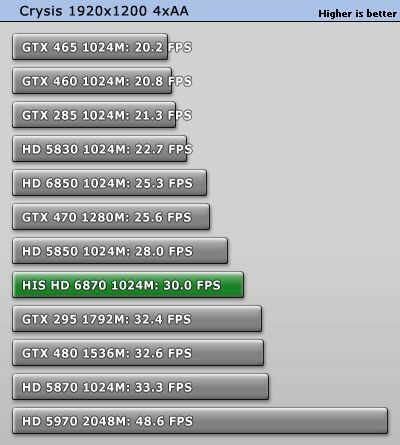 AMD needed two GeForce GTX 460 cards of their own … and these are it. 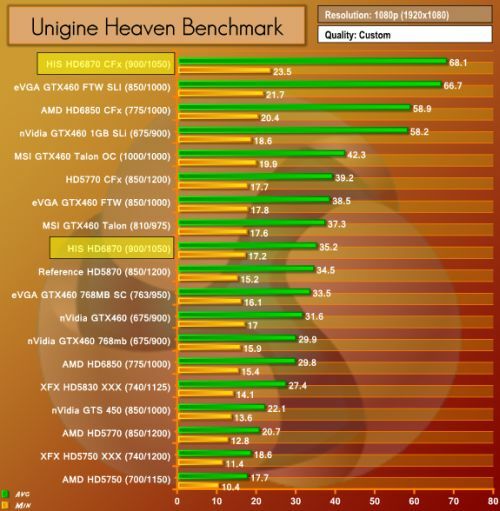 Bare in mind though, coming from an R5870 you’d be taking a small perf step down. For 249 USD / 209 EUR the R6870 is positioned against the GeForce GTX 460 with 1024MB graphics memory, now the R6870 is faster, however NVIDIA will pull their trump card, the GeForce GTX 470 and lower its price on that product, significantly I must add. 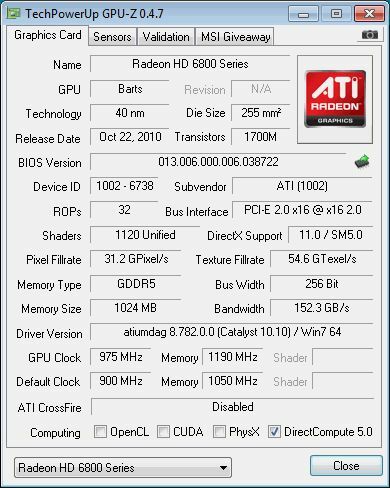 [H]ard|OCP: The Radeon HD 6870 offers a performance upgrade at $239, providing better than Radeon HD 5850 performance. It isn’t a Radeon HD 5870 killer, but then it isn’t supposed to be, that will come later. The Radeon HD 6870 fills a hole that the Radeon HD 5830 has never truly filled in. The HD 6870 with better performance, and lower prices; the sub-$250 price point just became very interesting. Legit Reviews: The AMD Radeon HD 6800 series of video cards retains Radeon HD 5800-class performance, but brings new features and better efficiency to the table. techPowerUp: Overall, this is the card to get if you have around $240 to spend, and are looking at a product that is a long-term investment. If you are looking for the best bang for the buck then the HD 6850 should be on your shopping list. 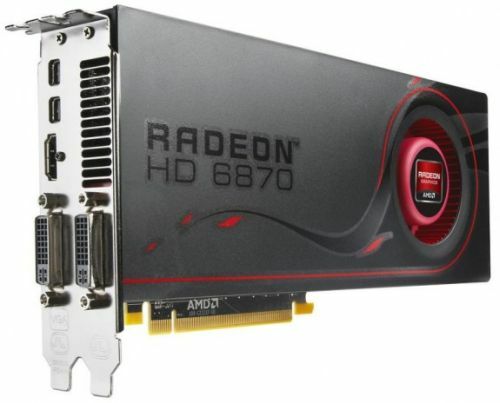 AMD Radeon HD 6990 Launch Day: a 500W and $700 Dual-GPU Graphics Card for The Fanatic! Hiiiii are you my brand new videoboard? nope still nope! I wait R6900! 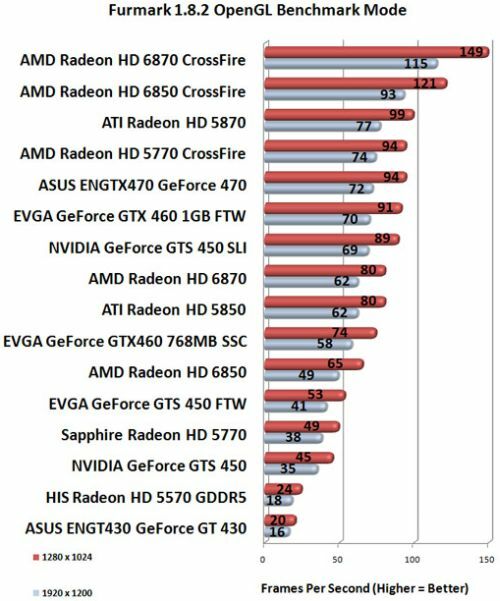 why far cry 2 omg.. why not crysis.. everyone knows fc2 is optimized for nvidia..
No one needs FP64 unless you do HPC number crunching.